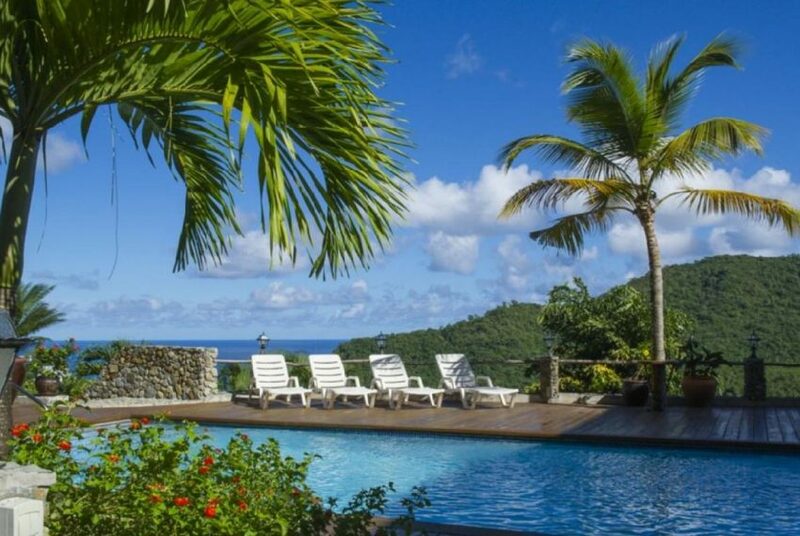 Villa Makambu is a Contemporary Caribbean style Villa, nestled on the south side of Marigot Bay; with breathtaking views of beautiful Marigot Bay and the Caribbean Sea. 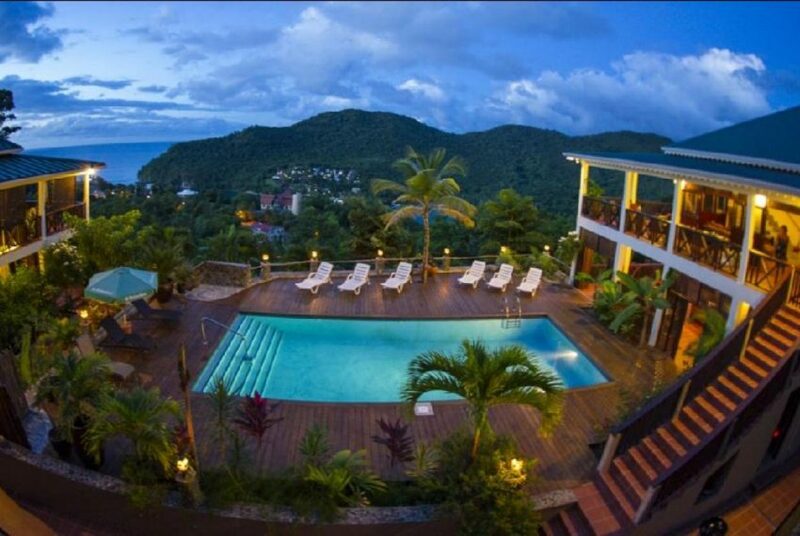 The whole villa (3750 sq.ft. ), upper and lower level, consists of 4 large bedrooms with king size beds, one bedroom with 2 single beds one small bedroom with a single, a mezzanine with a queen size bed and TV lounging area . 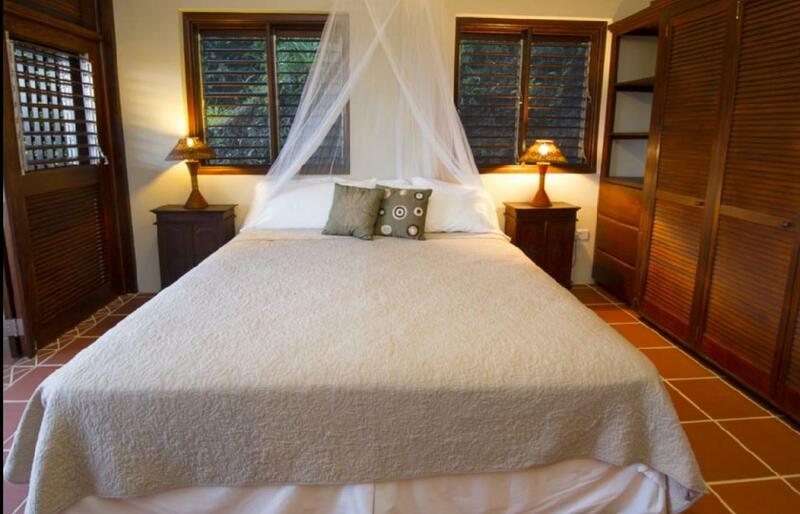 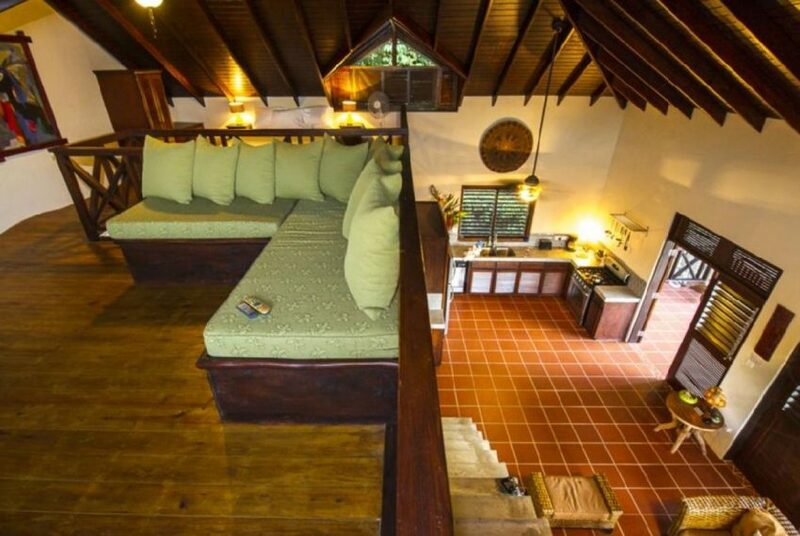 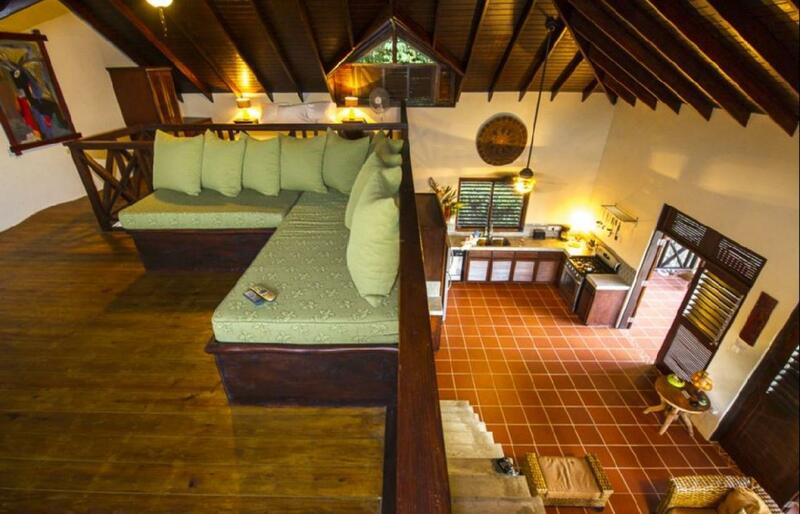 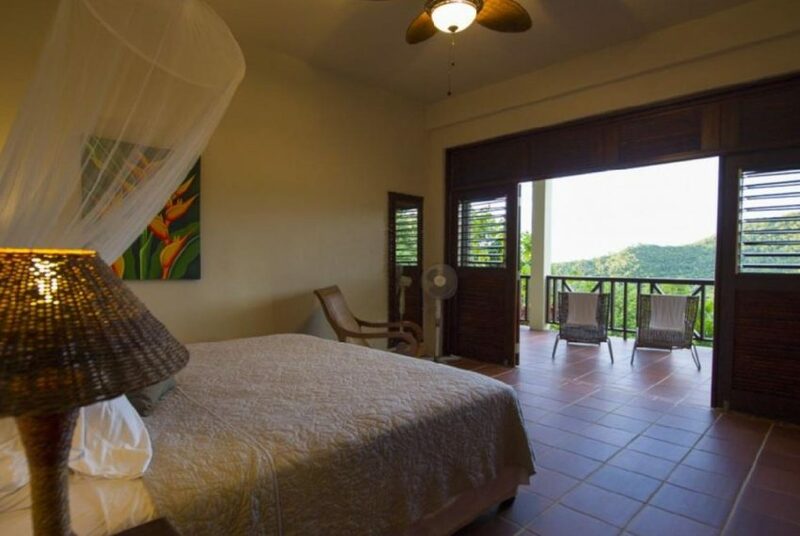 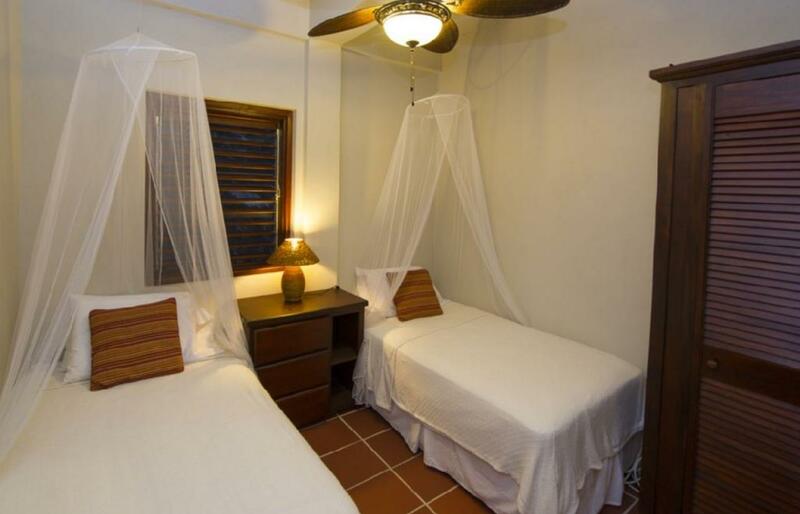 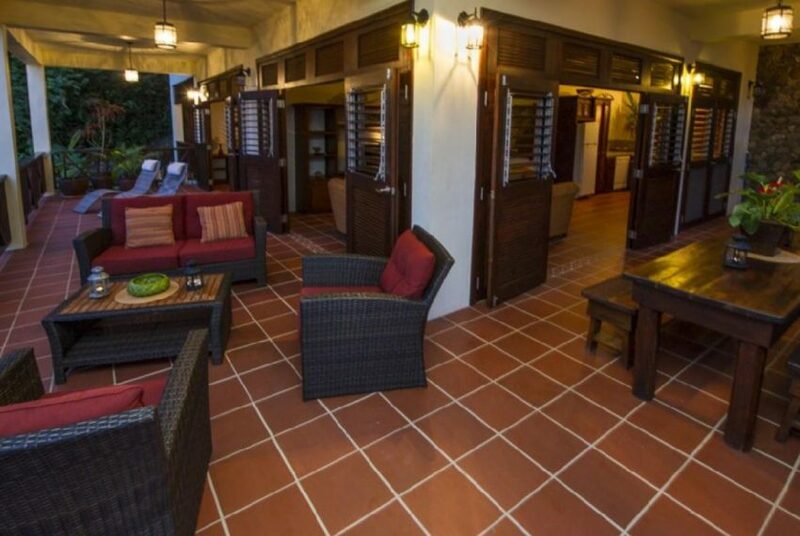 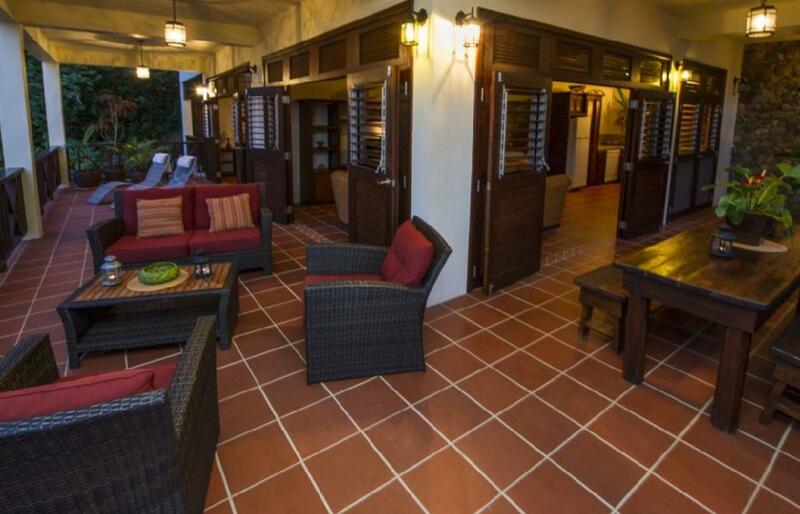 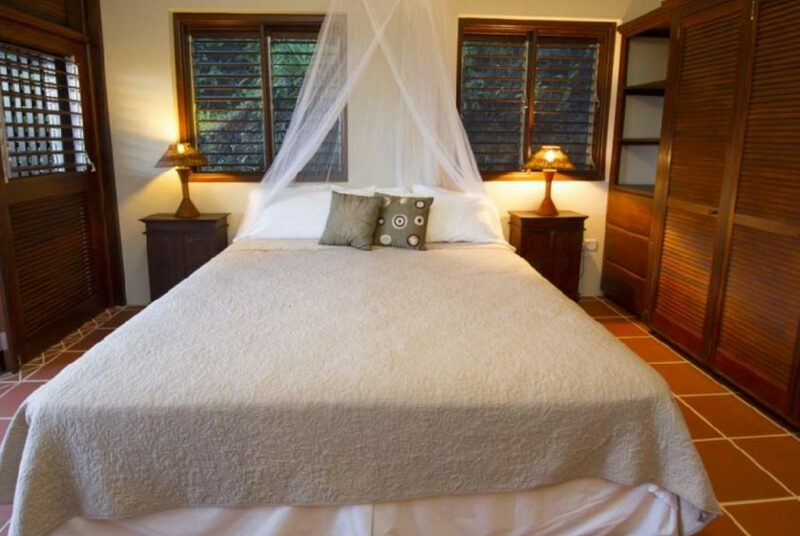 All of the bedrooms are equipped with ceiling fans and floor fans, large wardrobe, mosquito netting, 4 bathrooms (two on each level) , 2 spacious kitchens (one on each level), living room on each level , all opening on large verandas by louver doors for dining and entertainment with spectacular views. 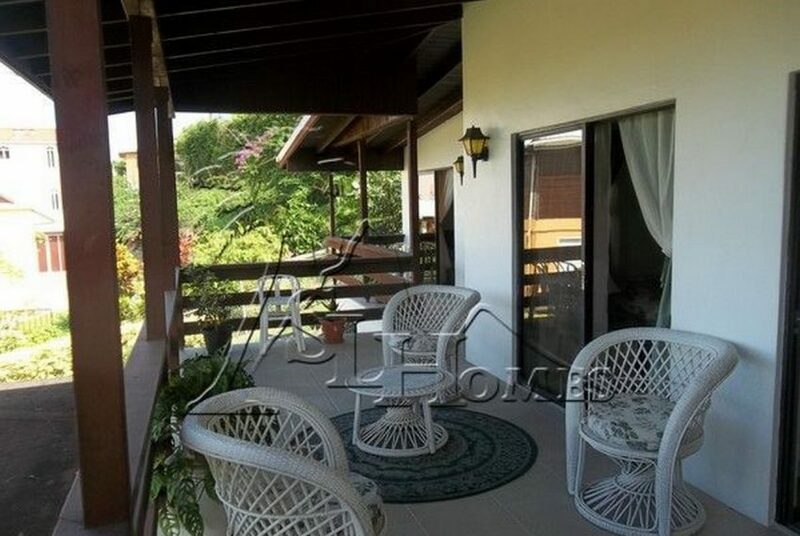 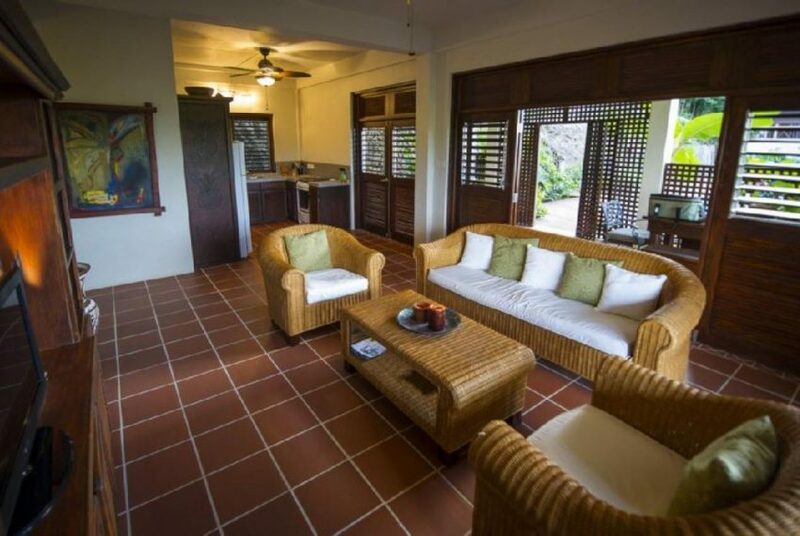 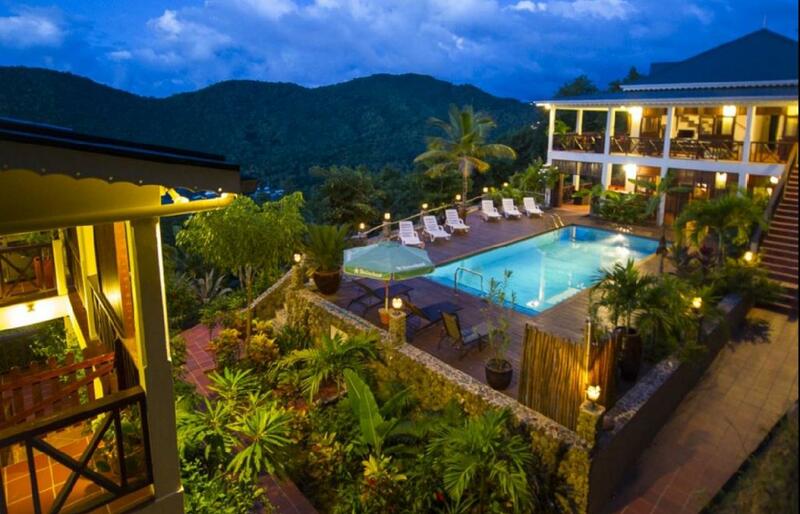 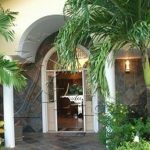 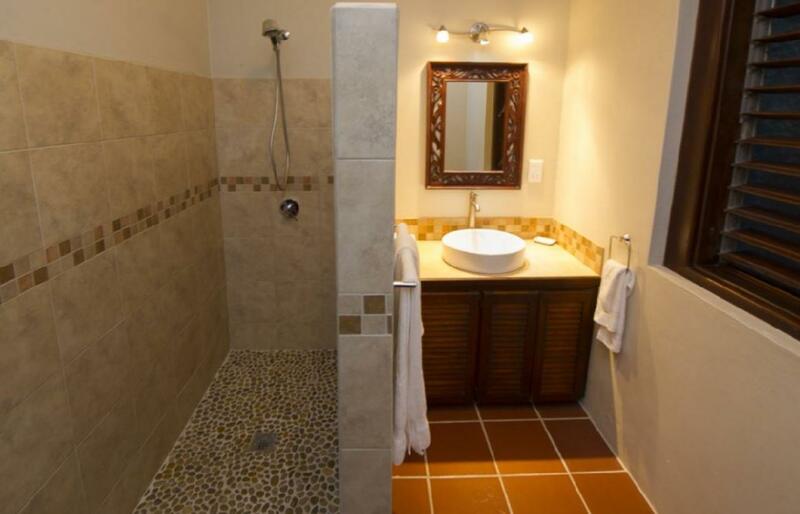 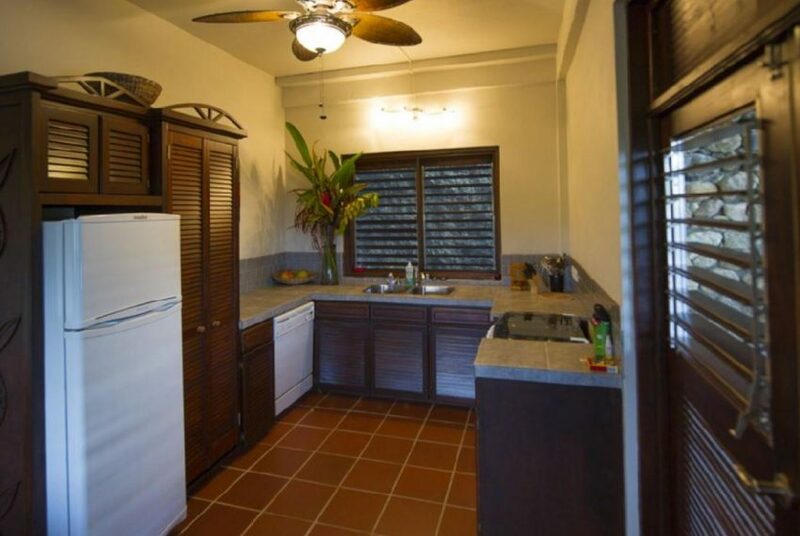 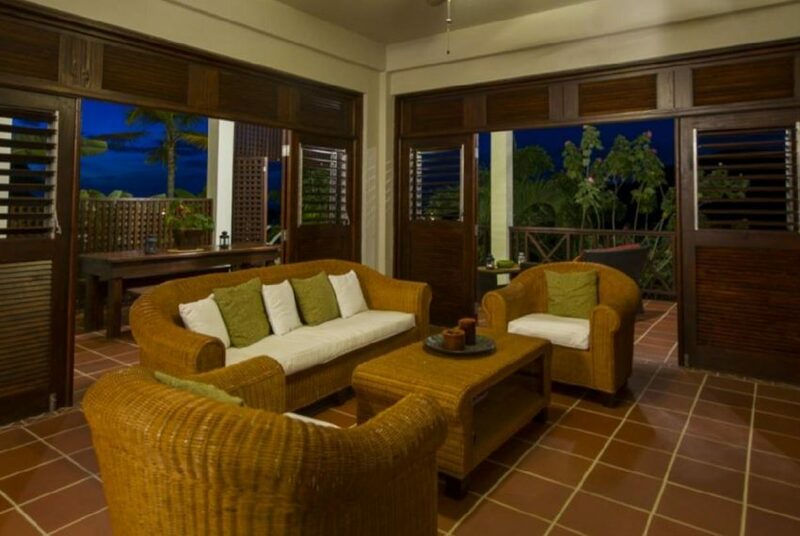 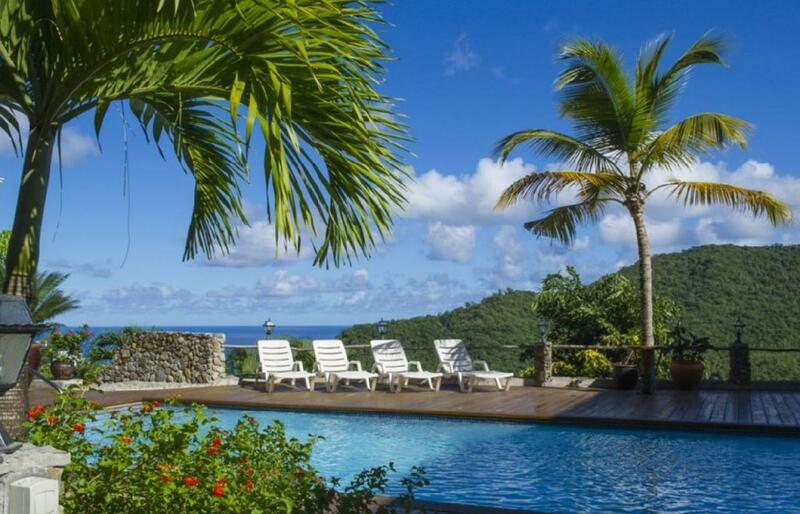 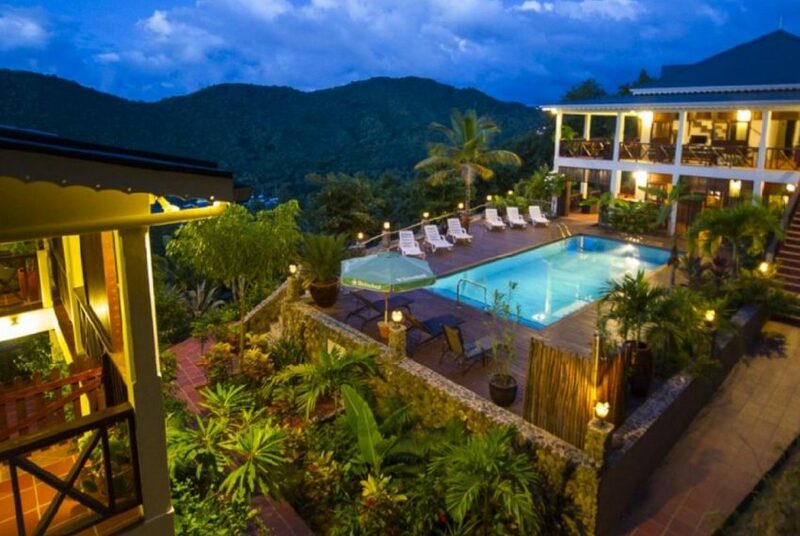 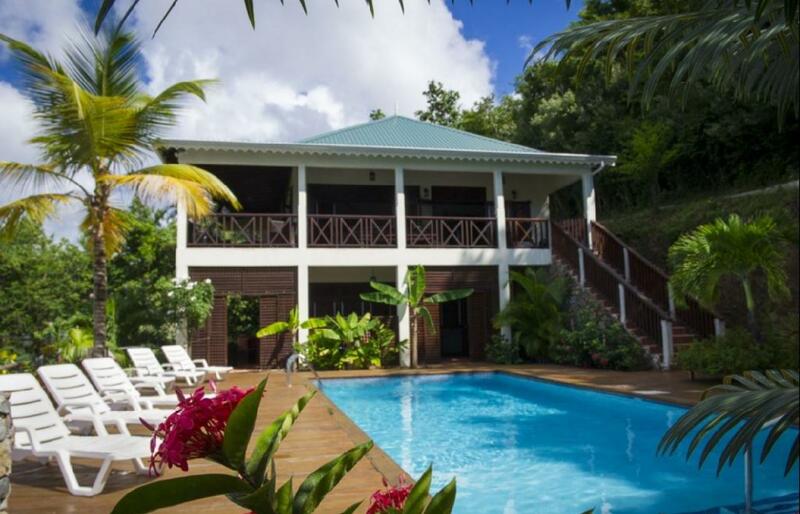 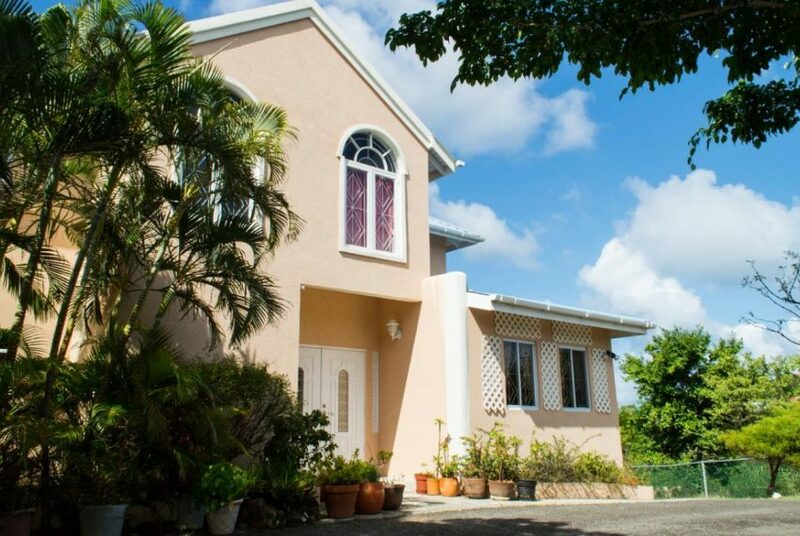 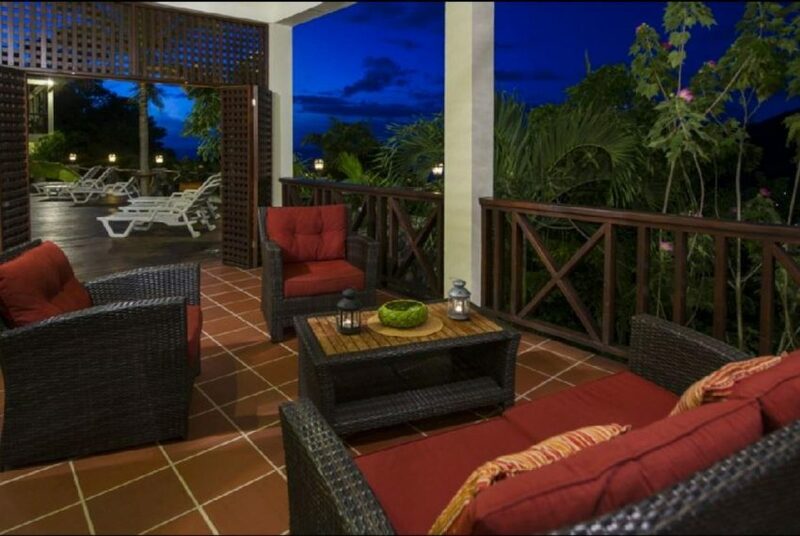 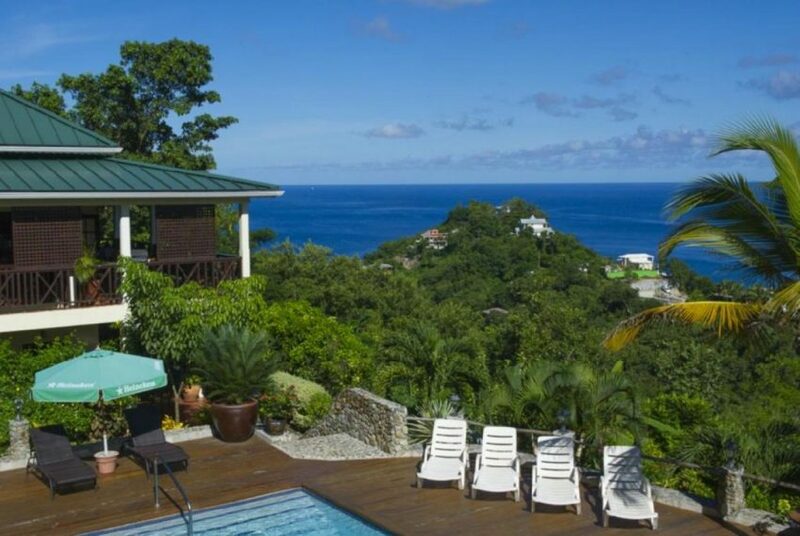 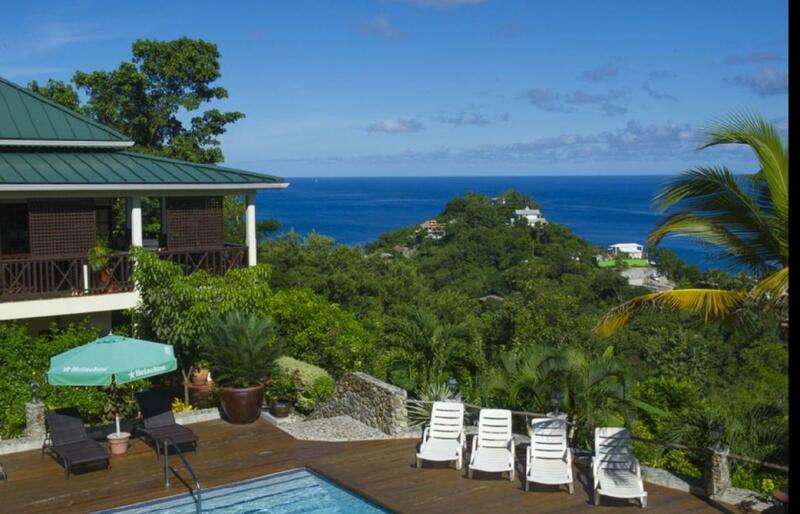 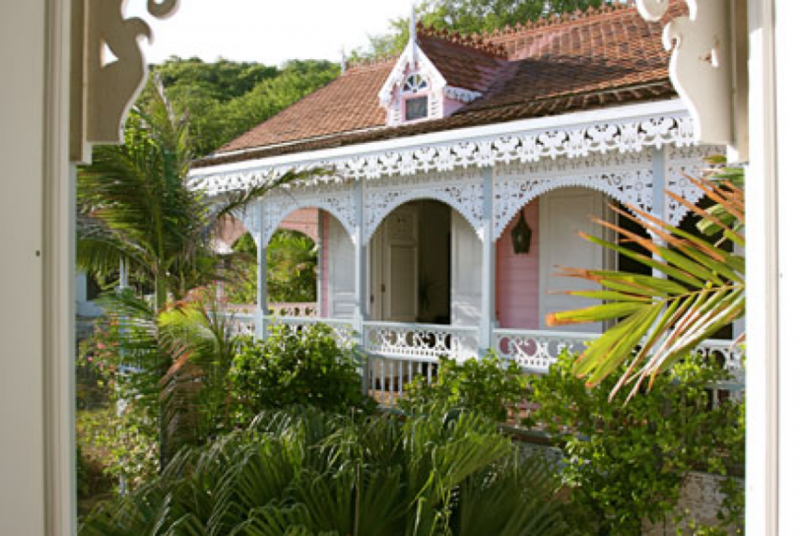 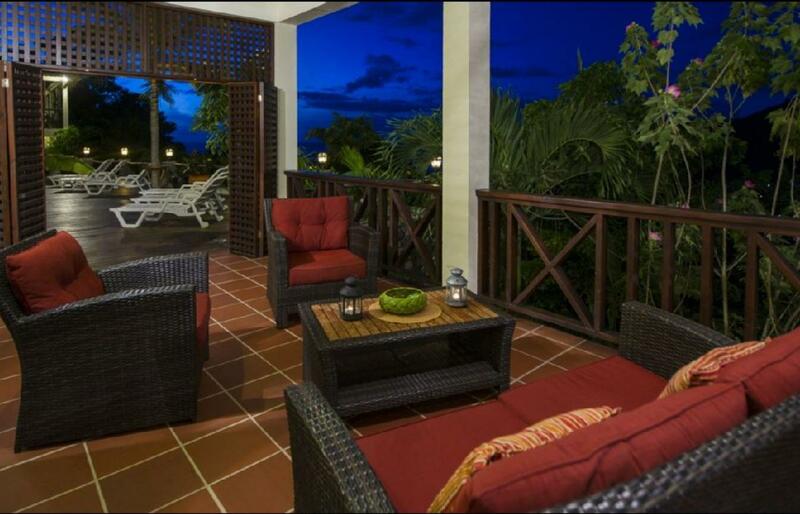 The property is surrounded by mature gardens with a wide selection of fruit trees, palms and Caribbean. 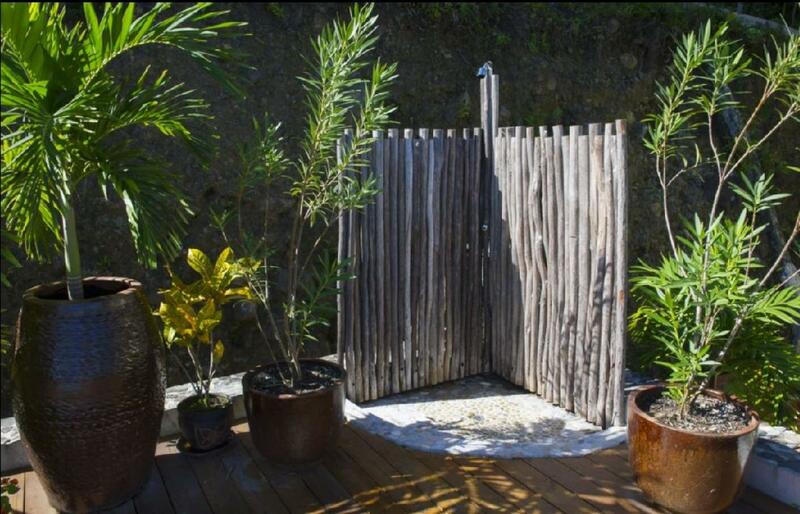 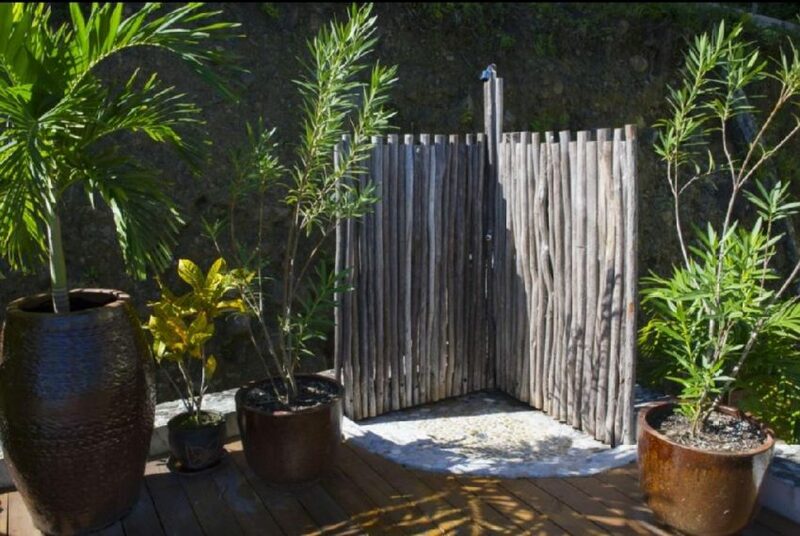 A large wooden deck surrounds the 36 x 16 ft sea/salt pool with outdoor shower. 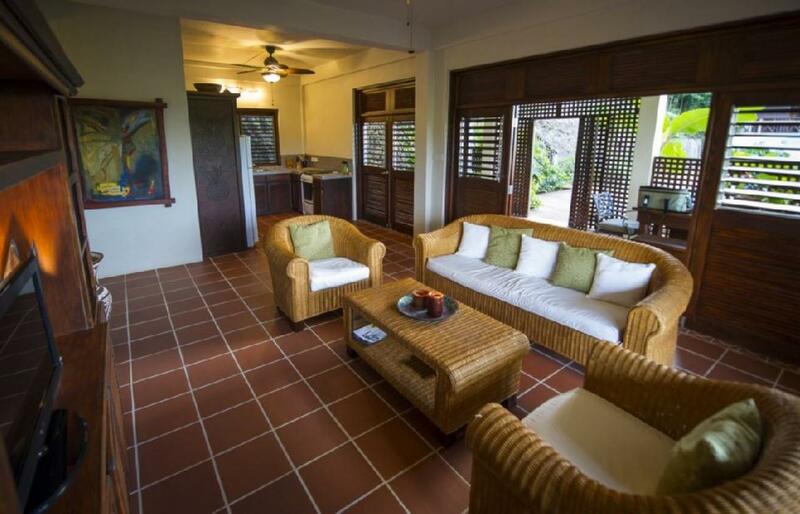 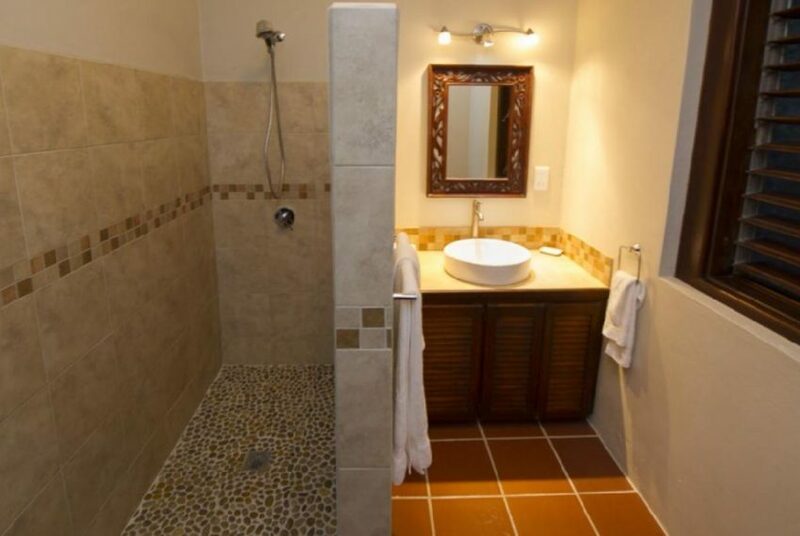 The villa is a 15-20 minute walk down to the beach, to restaurants, banking, bakery, shopping and nightlife. 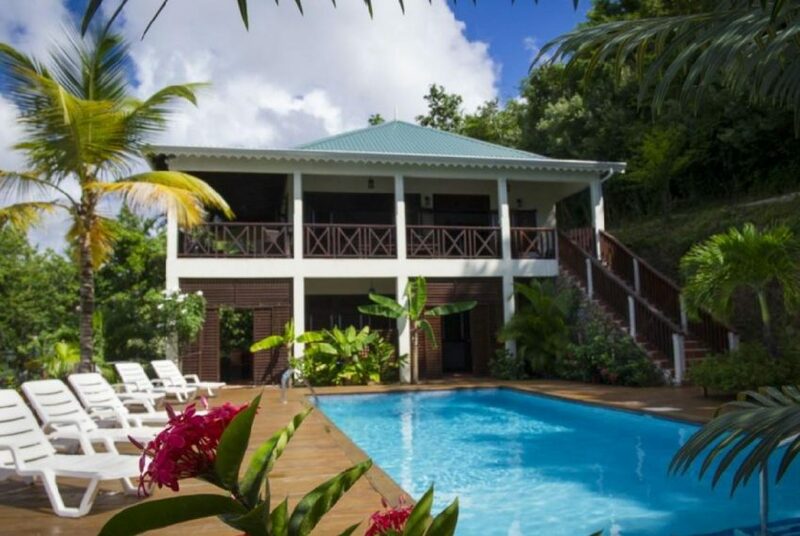 There is also a secluded cove (Trou Rolland or Fishing Cove) which is a 10 minute walk, where you can enjoy swimming, snorkeling, jumping of rocks or simply relaxing on the beach. 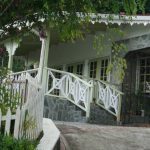 The property also has a smaller house which has two Studio Apartments, One of which is occupied by the owners when they are on Island. 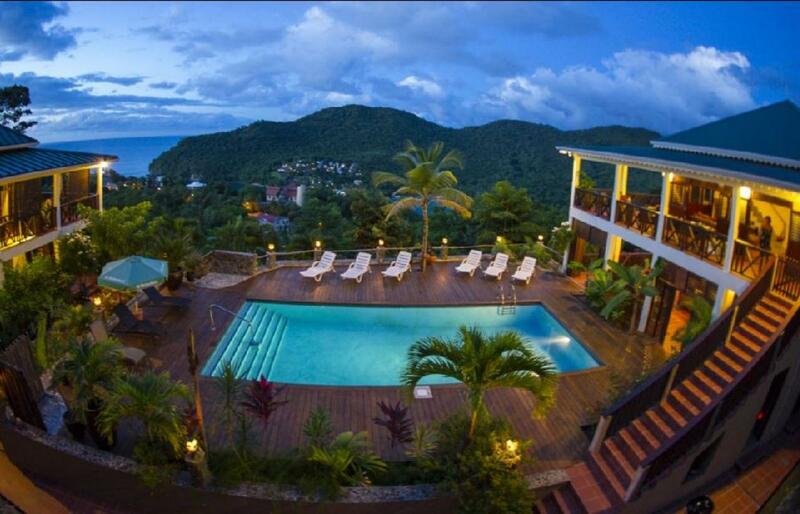 The other is used by the Villa staff on property. 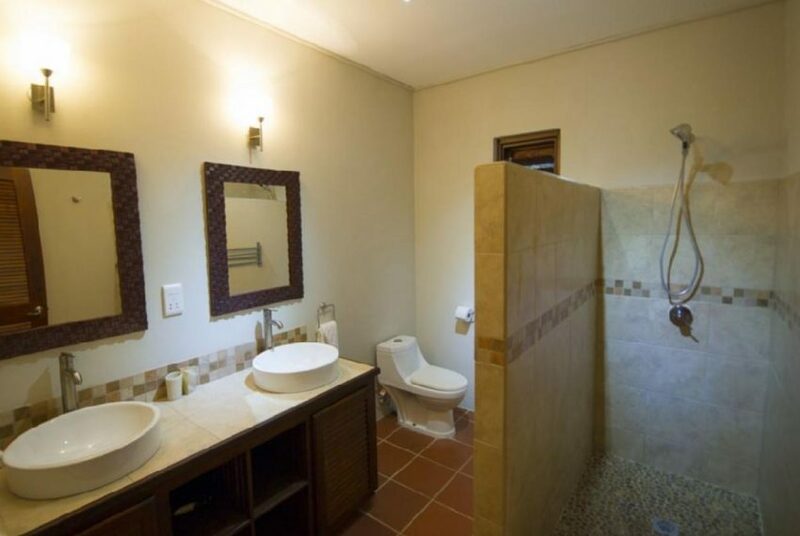 The Apartments are within the compound but still afford an owner some degree of privacy while on property.